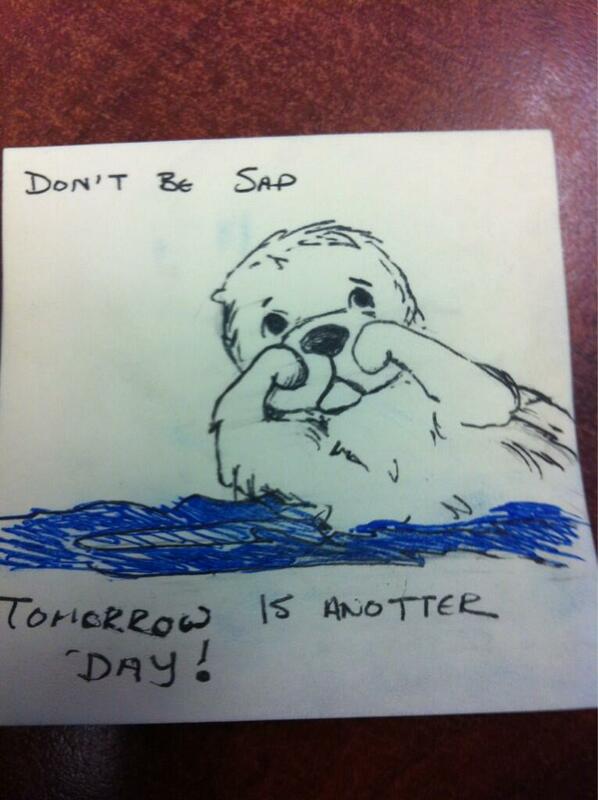 I do these when it’s ridiculously hectic at work and stick them on my team’s monitors to cheer them up. 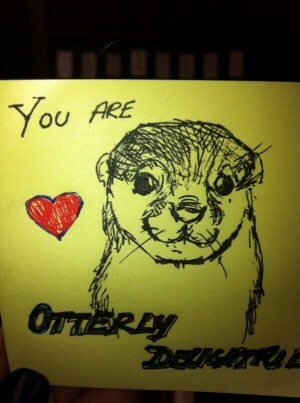 I’m probably going to run out of otter puns soon. I’m sure the office will mourn. 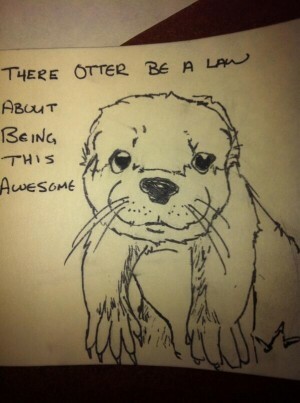 This entry was posted in Uncategorized and tagged bad art, bad puns, OTTERS. Bookmark the permalink. I know I accidentally followed my own blog from http://en.wordpress.com/#!/read/edit/ and the straight url (http://digitalglitch.org). Email is definitely an option, but I’d think that should work. I tend to follow via RSS myself, so following in WordPress is somewhat new and novel for me! With the rare exception of setting an entire household on fire, I try really hard to give the poor sots nice lives! And the occasional weird death — that’s the game’s fault for having such pretty ghosts. Now, if I want to go evil overlord, that’s when I bust out Evil Genius. That game never gets old. I am intrigued! I have never heard of this Evil Genius. TO THE GOOGLES. This is beautiful. I would frame these if I ever got one.